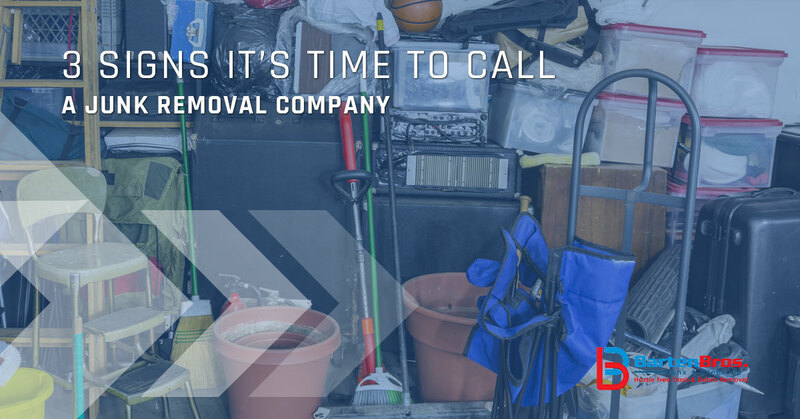 When it comes to junk removal in Point Pleasant, the team at Barten Bros is here to make the entire process hassle free. As a matter of fact, head on over to our home page and you’ll find that if you mention the ad there, you’ll receive $25 off your estimate. You see, regardless of the job, we want to make it as easy as possible on you. We know that people have a lot on their plates as it is, and that’s why getting rid of the junk in your home can help you to start feeling better about things pretty much immediately. But how can you tell if it’s something that you should take care of now? As a matter of fact, that’s the topic of today’s post. The gist of it all is this, however — if you’re thinking about using our services (which you probably are because you’re on our website) then you would probably benefit from calling us in the near future. Either way, in today’s blog we’ll be sharing three signs that you should get in touch with us. Keep reading to learn more! In many cases, people tend to put the things they want out of sight and out of mind in the basement. That’s a strategy that works out pretty well — for a time. What happens when your basement starts to fill up with stuff? The answer is that this is a pretty good sign that it’s time to give us a call. We know how easy it can be to fill up a space with stuff you don’t really want anymore. When you moved in, you thought the basement would be the perfect place for seasonal decorations, but as time goes on it, it starts to fill with unwanted furniture, knick knacks, and clothing. Here’s another important thing to consider: it might not be your basement where you keep junk. It could be in a spare room, in the garage, or elsewhere around the house. When it comes down to it, if you have a space in your home that’s filled with stuff you don’t really want anymore, it’s time to call us. See if this scenario sounds familiar: you decided to move into a new home. Not wanting to do all of the heavy lifting yourself, you hired a moving company. That’s a great idea! You carefully labeled all of your boxes, and the movers make short work of the job. Then it hits you — you’re just having the movers move the contents of your basement in the old house to the basement in your new house, and you don’t even know what’s in the boxes. 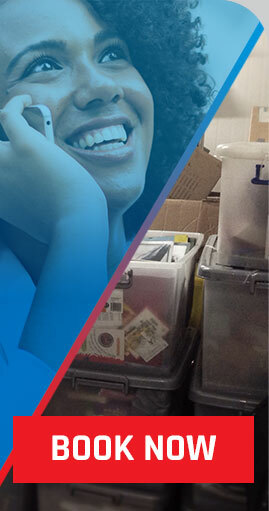 Although it may have been important at one point or another, the truth is that if you don’t even know what you’re storing, it might be time to do away with it. Fortunately, we can find a good home for those things. Whether that means recycling it when possible or donating some items to a nonprofit, we’ll give the things taking up space in your basement new life when we can. Every home is bound to need updating at some point or another. Kitchen and bathroom remodels are popular in this day and age and they can help to bring your home some fresh appeal. Hey, everyone deserves to enjoy their home a little bit more! But what are you going to do with the stuff you need to get rid of? Our team of junk removal experts can help with your remodel or renovation project, ensuring that the end result is a junk-free place that you’re going to enjoy for many years to come. We serve the entire Jersey Shore area, so when you’re in need of someone to get rid of your junk, turn to the team at Barten Bros Junk & Clean Up and rest assured that we’ll get the job done the right way the first time. No job is too big or too small, so contact us today to get a free estimate!